there’s a big weekend a-happenin’! Whether you’re in Canada (HAPPY CANADA DAY today!) or you right here in America, I’m sure you’re weekend will be full of parades, food, fireworks and just good ol’ fun. That’s what brings me to today’s freebie. You might recognize this as a similar graphic that I had for display during last year’s holiday weekend. Well, I’ve updated it for 2011 AND made it a downloadable PNG file . . . for both Americans and Canadians! 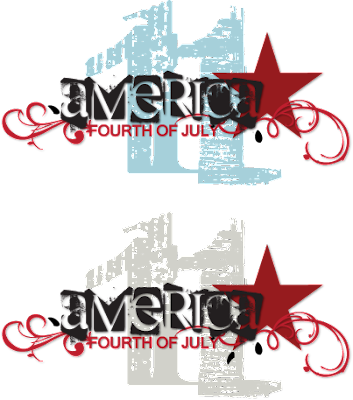 To download the America PNG files, click HERE. To download the Canada PNG files, click HERE. Have a wonderful weekend! May it all be sparkly and full of fun! Love it! Thanks! Love long weekends. Freedom rocks too. Thank you God for freedom spiritually and physically. Enjoy it my friend. Thanks for doing a Canadian one..much appreciated. 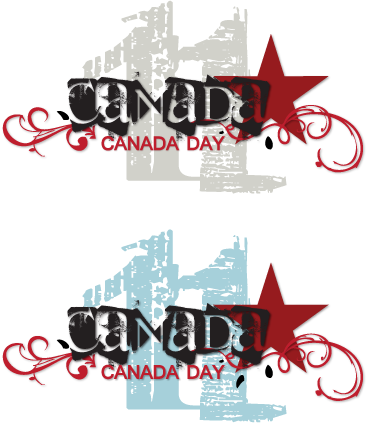 Happy Canada Day (and 4th of July) I am sure I will be watching Independance Day on Monday. Gorgeous!! Thanks so much , Kerri! Its beautiful .Thanks so much for the Canadian freebie!! Thanks, Kerri, you're so generous with your beautiful designs.